After qualifying for the World Cup for the first time since 2006, the Iranian national soccer team, known as Team Melli, plays Nigeria today. Team Melli ranks first in Asia and 43rd in the world, according to the June 2014 FIFA world rankings. 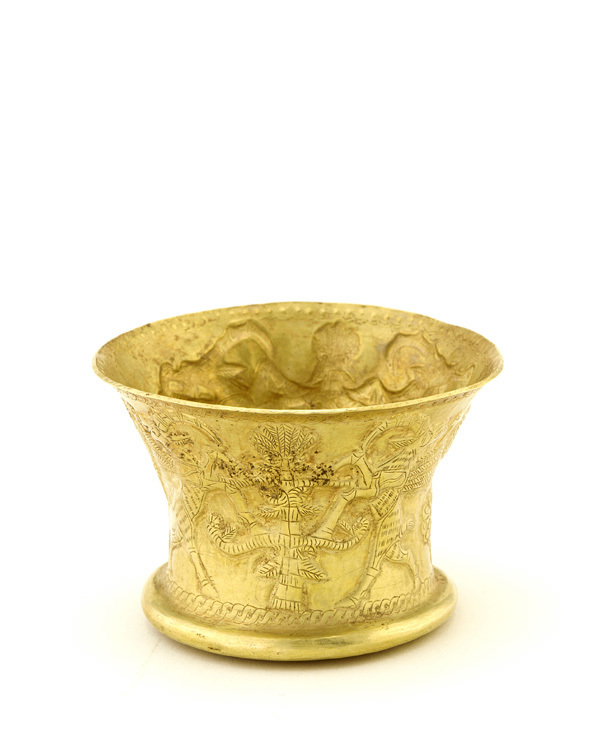 In honor of Iran’s participation, we present an exquisite Iranian cup with a pattern of lions and trees that dates back to the first millennium BCE. Perfect for celebrations … especially when going for the gold!